Anger, though unwelcome, is present in every household. All encounter it, but not everyone knows how to overcome it. 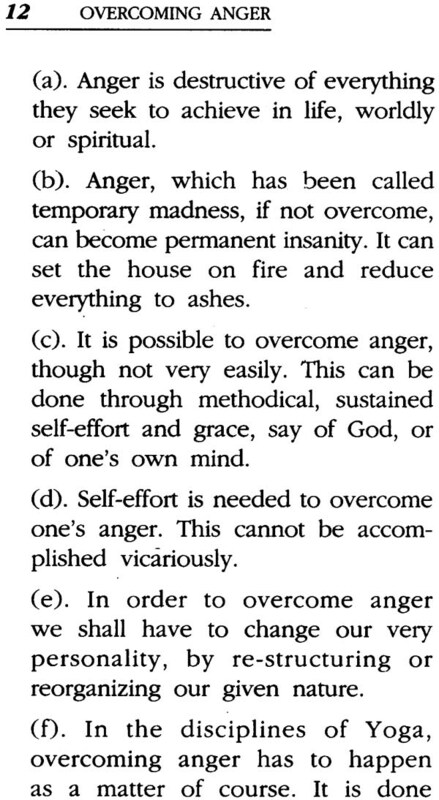 The following pages deal with how one can attempt to overcome anger. 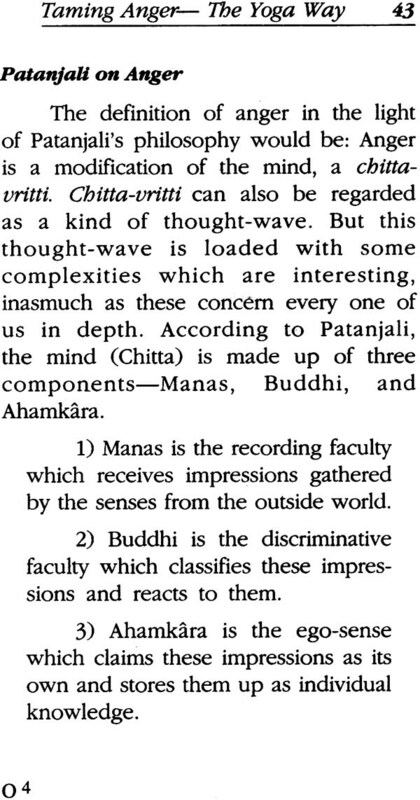 What follows was originally presented as a series of talks given at Ramakrishna Mission New Delhi in 1982 by late Swami Budhananda (1917-1983), a scholarly monk of the Ramakrishna Order and a former editor of The Vedanta Kesari, an English monthly published from Sri Ramakrishna Math, Chennai. 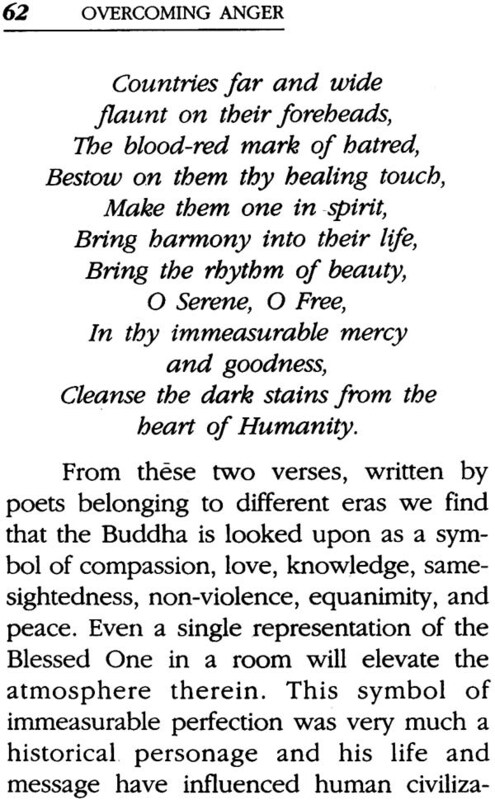 Later these were published as eight articles (from May 2003 to January 2005) in the Vedanta Kesari. 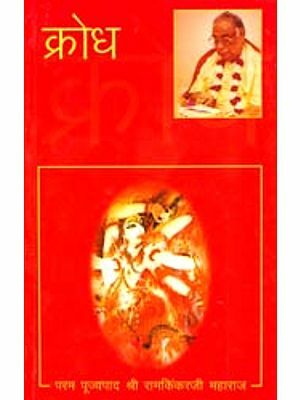 The learned author handles the subject from the perspective of different religious traditions and provides a comprehensive scheme to understand and overcome anger. This is now being brought out in the form of a booklet. 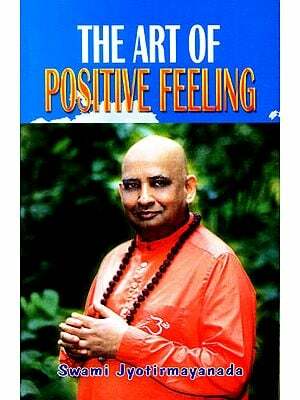 Hope it will fulfill a long felt need and will receive the attention of discerning readers. Everyone of us, except for a rare few, has experienced that passion called anger—its fury ad flames, its madness and infernal energy. Some of us continue to be permanent victims of the tragedy brought about by it. Not all those who have experienced anger are seeking to know how to overcome it—many even rationalize their anger, and would go any length to justify it, both to themselves and to others, as if the welfare of the world depended on their anger. These days it is also intellectually fashionable to speak approvingly of the ‘angry generation’, as if anger, which is considered destructive at the individual level, when collectivized, becomes a commendable virtue. In fact, anger has become a modern social ethos, a political weapon, a collective ploy for upsetting the status quo, and useful material for revolution—a kind of unconventional vested interest. The underprivileged sections of society, particularly their leaders, organized labour, student’s unions etc., deliberately use the idiom of anger, as a strategy for action, or a keynote for bargaining: Do this or face the consequences.’ And it would appear that it works! Some people also seem to consider anger to be a kind of masculine virtue and wear it as a badge of leadership—for being regarded as the boss among a-social or anti-social elements. In the underworld of criminals, refrigerated anger is a status symbol. How fantastically anger is hymned! Their philosophy can be put in a nutshell in these words: ‘Rage supplies all with arms. When an angry man thirsts for blood, anything will serve him as a spear. In advertisements, newspapers, electronic media etc., we see anger and violence depicted in great detail. Mental food of this kind cannot but have a harmful effect on the general public. Yet there is hardly any protest against this marketing of anger as a commodity. 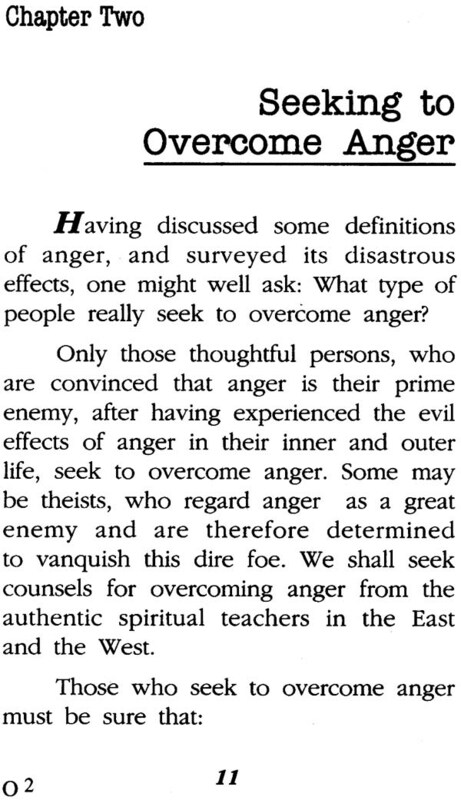 It is necessary therefore to examine the phenomenon of anger both in its social and individual aspects, before devising strategies to overcome it. 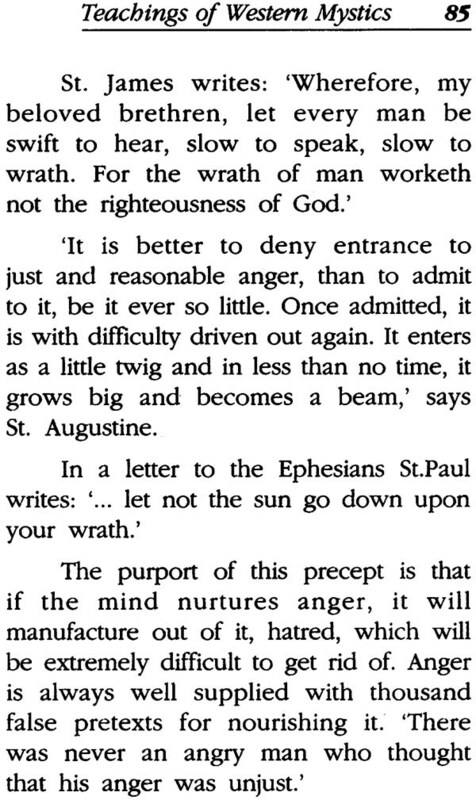 Let us examine some definitions of anger. ‘Anger is momentary madness. Another unusual definition is: ‘Anger is a mirror into which you do not venture to see your own face. The Oxford dictionary defines anger as ‘extreme displeasure’. 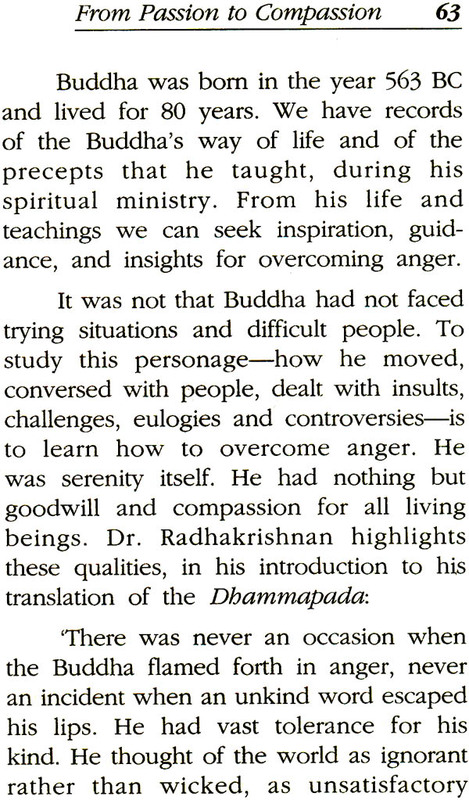 Swami Turiyananda regarded anger as a concentrated desire. While a precise definition of anger may prove elusive, everyone more or less knows what anger is, since it is pretty ubiquitous. We meet anger at home, in the streets, offices, social gatherings, election booths, legislative assemblies, play grounds, international meets, and most frequently, within ourselves. Anger, oftener than not, is apt to cause more harm to oneself than to others. An anger issues out of man’s own nature, it is a natural and a forceful emotion, with great destructive potential. As in every piece of wood there is hidden fire, so there is hidden anger in every human being, because of the ‘Rajas’ constituent of his/her nature. All are susceptible to anger—mildly, or strongly. Anger is contagious. Words ignited by anger can cause anger in others. Soothing words are the water hydrants needed when passions are inflamed. The evil effects of anger are innumerable. The first thing that happens to an angry person is that he forgets the lessons of wisdom he has learnt in life. After that he loses control over his thoughts and emotions. 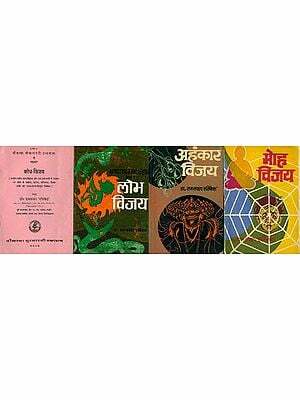 He becomes over-active, with his highly charged ego, as his only guide. He loses his power of discrimination, sense of proportion, and becomes the second nature of a person, physical health and equanimity of mind suffer and inner peace vanishes in a trice. Anger can destroy friendships, families, business partnerships, professions prospects. Communal and ethnic riots arsons, wars, suicides, murder, and many other forms of crime are basically products of anger. In fact. Anger makes even handsome person look ugly. A person who is remorseful about his flashes of anger, could keep a large mirror facing his office desk. In case the anger-prone person has a lively sense of humour, this mirror-therapy is likely to work. Has Anger Any Bright Side also? 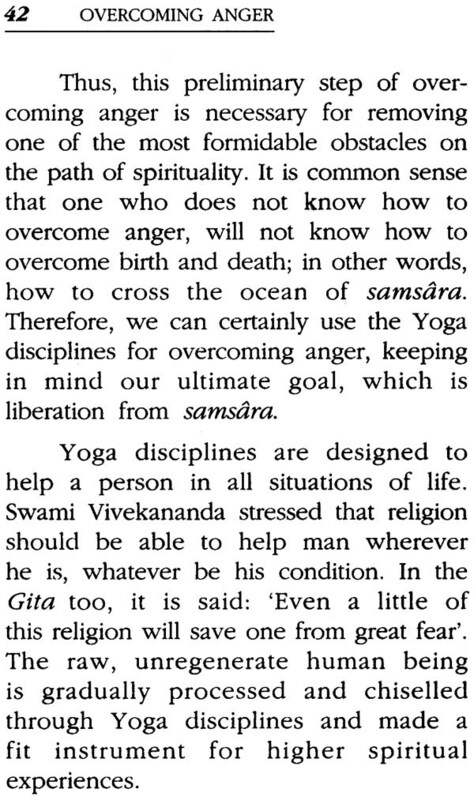 However there are persons who seem to think anger to be so useful that they refuse to learn how to overcome anger. A real life incident illustrates this point. 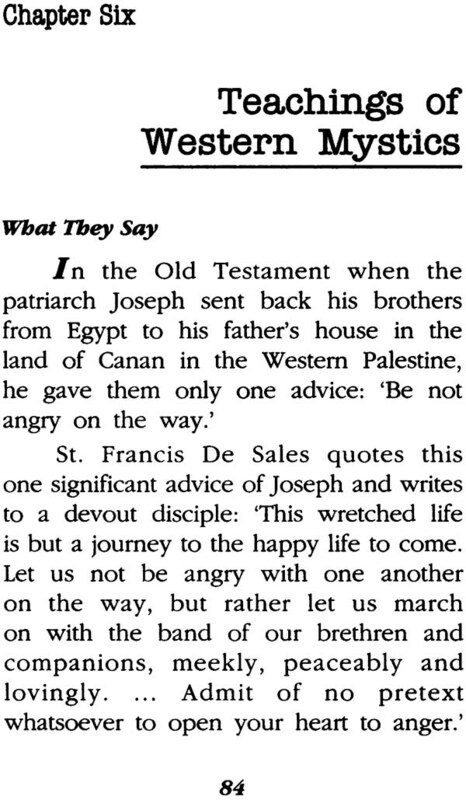 A friend has said to his wife, ‘Let us go to the Mission and listen to a discourse on, “How to Overcome Anger”, which is likely to be interesting.’ The lady thereupon said that she did not want to learn how to overcome her anger, because her anger was the only thing their children were afraid of. She would not like to lose the only instruments with which she could discipline her children! She held the somewhat unusual point of view that anger has some utility. This view is echoed in the dictum, ‘Severity is allowable where mildness is in vain.’ Use of anger could have a kind of utilitarian, if not moral sanction. In the course of his discussion he hinted that his wife was easily roused to anger. This observation was helpful in understanding a somewhat piquant situation. Here the question to be asked is: ‘Are you using your anger, or is anger using you? Is anger an efficient instrument in your hand or are you mere tool in the hands of your anger? 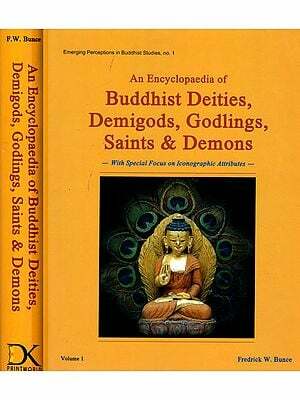 Eleven Headed Avalokitesvara (Avalokiteshvara) Chenresigs, Kuan-yin, or Kannon Bodhisattva: Its Origin and Iconography.